Your Own Shadows Are Calling For You To Go Deeper – That’s What The Running/Chasing/Separation/Struggle is All About… Discover Why Everything Needs to Change, and Why There Was Going to Be No Article This Week. I’m going to be completely honest with you. Today’s article was a struggle to start with. It was actually nonexistent. Stubbornly so. And it’s never happened before. 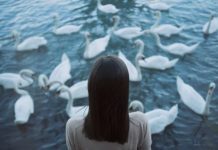 As an empath, I’m always sensing what’s going on for the Twin Collective, and I receive messages and feel what is needed at any given time – and that’s where the articles come from. Eventually, the meaning of it all trickled into my consciousness. I received a clear vision: A male Twin Soul trying to get his female Twin’s attention, to no avail. With this came the download of information: Twin Reunion is there for many right now if you are just able and willing to shift into it. But like someone blinded by the sun, many Twins (and I was shown females in the main) are so absorbed and preoccupied by the “problem” of the Twin Flame connection that they’re oblivious to the love that’s really there. And it’s not because they’re not smart, or loveable. It’s because of engrained programming. Overthinking, overanalysis, fear, the “human illusions”. I saw the masculine soul counterparts of many females’ there with them, trying to get their attention, but unable to because they were so mentally engrossed in the feelings and thoughts of problem solving, difficulty, struggle, negativity, running, chasing, stages, the future, the past – all the human illusions about the Twin Flame connection. That’s what I was shown. It was made clear to me today that in many ways there WAS no article. There WAS no “message” today. A powerful energy in the Twin Collective wanted to make it clear that a bigger shift is needed. A shift that’s not about reading words. I was shown that it’s all about the inner aspect of the Twin connection. You’ve heard of the Twin Flame Mirror. Well, what it really entails is that your Twin Soul is always reflecting in some way the energy that you hold toward yourself. Meaning that if your Twin is Running, it’s *you* who are running from you. If you are separated from your Twin, it’s because of something going on inside of *you*. You are one soul in two bodies, and everything happens according to this. Because the two of you are indelibly connected and have signed up to help each other heal so deeply that eventually nothing remains between you but unconditional love and joy and peace. This means that the issues keep coming up until you are ready to face them. Truly face them. Be honest with yourself. Don’t try to figure it out with your mind. Go deeper. I can’t “fix” you with my words. And I feel the energy of thousands of Twins every day – calling for “fixing”. When the truth is that you are your own saviour. I have shared with you everything I know, but many are still holding off, hiding from themselves. Staying on the surface, when the answers, the transformation lies much deeper. That’s the point of this Twin Soul consciousness that wanted to be expressed today. That there’s a shift that needs to happen. To turn from the outside into the inside. To finally take on the proverbial “monsters of your inner consciousness” so you can emerge in a new light, your Twin’s true love. Instead of trying to escape the darkness. But there is a strong energy from this Masculine essence aspect of the Twin Souls, that the journey needs to go deeper. There is a clarion call being sent out that it is time to move the journey away from the surface and into the realm of true transformation. We’re called on to go into the deeper unconscious emotions, the energy, the body consciousness, the primal sides of ourselves. Transformation comes from going within and understanding what is truly going on in the non-verbal parts of our psyche. Confronting the shadows. Finding the places where we’re lost to ourselves, discovering where we ourselves keep ourselves locked into a self made prison of thoughts and fears, and opening the door. Because we have had the key the whole time. Embracing the shadows in us, shining the light of love on all the wounded parts of ourselves… that’s the alchemy of self love. That’s the crux of the Twin Flame journey. It’s not just about being in love or finding the man or woman of your dreams. It’s about transforming darkness (unknowing, the human illusions, hurt, pain) into light by using the power of love. To accept all the hurts. Yes, to accept everything bad that’s happened. To pick up the pieces of ourselves and glue them back together, healing every pain with love. That’s what will bring out the love and the unity with your Twin Flame. What will reignite the fire and have the mirror shine a bright reflection of love back to you. Because as long as you’re running from yourself and are full of unconscious chaos, old fears, outworn beliefs and counter intentions – that’s the chaos that will continue to be reflected back to you with your beloved other self. The outer situation is simply a mirage calling for you to go within to heal the real wounds. And the more you keep focusing on the outer situation trying to “fix it” you just push more energy into it, strengthening the “problem” with your focus and your thoughts and your words. All the while the true wound festers within. It’s no coincidence the phoenix is a sign of the Twin Flames – a pair of these two mythical birds who die only to be reborn into a new fire from their own ashes. This is a journey of the mystic, and the path goes within your own darkness into the light in the core of your being. At the innermost point of you, where you become your Twin Flame and they become you. So, today, resolve to do something different. Stop running from your own darkness. If I ever had a gift on my journey, it was my relentless desire to go deeper into my own psyche and understand why I felt the way I felt so I could resolve it. To really “fix” the outside, go within. Get to know what’s really going on inside you. Like a mythical hero, accept your quest. You already know what awaits at the end – love. The love is always there. Go into the darkness of your own psyche, confront the fears, the “monsters of your mind”. Use your energy clearing tools, your “weapons of the journey”, to clear the fears, transmute the darkness into light and heal your inner self with love. Entering into union and love first and foremost with yourself, so that this unity and love is reflected back to you with your Twin in the union of souls. It’s been a theme in the cosmic energies in recent times and we’re being pushed to fully realize this yet again: You are your own saviour. You might have noticed less help from the unseen lately, and as if you’re separate from your Twin more than usual. It’s so that you will pick up the mantle and be your own “hero”. To embrace your own divinity. You might find the great mythology expert Joseph Campbell’s writing inspiring, because the Twin Flame journey really is in so many ways a modern day version of the mythical hero’s journey. To read more about Campbell’s work, go here. To end with today, I want to share with you something I wrote in my deepest darkness at the beginning of my own journey. I still have it in my gratitude journal and I see it every single day. When I wrote this I had no idea how it could possibly manifest in my real life. If I had known then that so many of you would be here today reading my work, I would have been in complete awe. Moved to tears, most of all because it so strongly demonstrates the power of the universe, the power of love, and the power of the human will. Because that’s what got me from there, to here. The universe responding to my intentions and my actions, most of all. My choices. My awareness. My clearing work. My transformation. My love. From me writing those words, I was taken on a journey of transformation through energy work. And that is my gift to you, for you to make the same journey I have but with much less pain and much more joy. Or you can discover the full tools and methods I used to heal and unify on my journey, and to reach the inner and outer union of souls with my Twin – after making the journey myself, spirit asked me to create with them the Vibrational Alignment Program for Twin Flames to help as many Twins as possible reach a state of unity and love. Because that really is why we’re all here. To join together in love. What If You’d Never Had A Shower Before? And although my own journey has been relatively short so far, three years compared to many who struggle for decades, I do believe that this has a lot to do with my own willingness to go within, confront my fears, dig deep into understanding my consciousness and to transform and uplift through the very powerful tools I developed and learned. I know awakening can be tough but there is always love – and once you clear away the fears and baggage with metaphysical tools, you can really begin to feel it again. A few hundred years ago no one brushed their teeth but now we wouldn’t dream of going a day without. It’s my honest hope and foresight that in another hundred years, people won’t be able to believe how we used to go our whole lives without ever clearing our energy – walking around with old gunk and other people’s thoughts and feelings pasted to us. So, are you ready to go within, to transform your journey and invoke the Twin Flame mirror to reflect all love back to you? If so, I’ll be there to hold your hand. To see a short video on how Twin Flame Ascension works and download the Free Help Kit for Twin Flames, go here. Or, to go deeper into your journey of transformation and manifest unity on all levels, have a look at the full program. 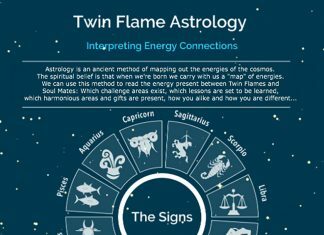 Twin Flame Gateway – Are You Aligning With Fear Or Love?